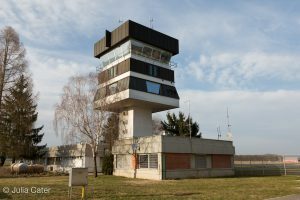 The Maribor Airport [MBX / LJMB] has new owners, the SHS Aviation Group with Investors from the Netherlands, China and Canada bought the Airport and they have global plans. VLM Airlines, also bought by SHS Aviation Group, is split in two Airlines the VLM Slovenia Airline (SHS Aviation Slovenia) and VLM Belgian Airline (SHS Aviation Antverp). 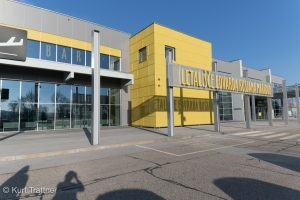 VLM Slovenia will be based at Maribor Airport and will offer European flight connections to Berlin, Belgrade, Hamburg, London, Podgorica, Split and Zurich. They will also fly to Chongqing, Nanchang and Xian in Asia. For 2018 the head of SHS are planning a massive expansion of the flight connections with the new destinations Shanghai, Tehran and Beijing. This would make VLM Slovenia bigger than the Slovenian flag carrier Adria Airways. The fleet will consist of six Airbus A320-200 and fifteen A330-200. 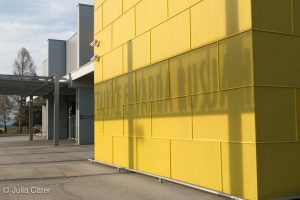 According to the Slovenian newspaper “Vecer” the costs of the sale were seven million euros. Now to the changes in and around the airport. In the future 139 million euros will be invested in the airport infrastructure. The existing runway will be extended in two steps to 3800 meters. Currently the runway 14/32 is 2500 meters long. Additionally a hotel, a shopping center and a new terminal for visitors and passengers are part of the expansion plans. The new owners also want to create new jobs in the technical section of the airport with a new air freight building and a new maintenance facility. The Aerodrom Maribor Airport in Slovenia opened 1976 for commercial flights. In the first years, the airport counted on many people from Austria, because the Airline INEX- ADRIA Airways (now ADRIA Airways) offered much cheaper flights to European countries than Austrian Airlines. In 1999 the airport rebuilt the runway and in 2002 the company Aerodrom Maribor was bought by the company Prevent Global d.d..
From 2002 to 2011 the Aerodrom Maribor renovated everything under their possession, like the entire infrastructure, the system for the instrumental landing ILS CAT I, the transformer distribution station and they also renovated and expanded the protection zone. 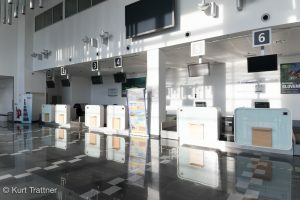 In the period from 2007 to 2013 they started the renovation work and the construction of the new passenger terminal as part of the operational program for the development of environmental and transport infrastructure, the third development priority of the transport infrastructure ESRR area of the airport and airport infrastructure. 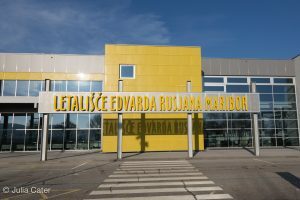 2008 the airport was renamed in “Letališče Edvarda Rusjana Maribor” airport, on the basis of a proposal by a Slovenian citizen. 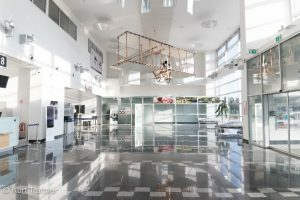 For many years the airport has been known for his pilot flight training center for airlines like SWISS AIR, AERO Llyod, LTU International, DBA and LAUDA Air. If these plans can be realized will be demonstrated in the future. Some reports of this kind (for example Frankfurt-Hahn) have already been spread, but whether or not these are also implemented, is written in the stars.